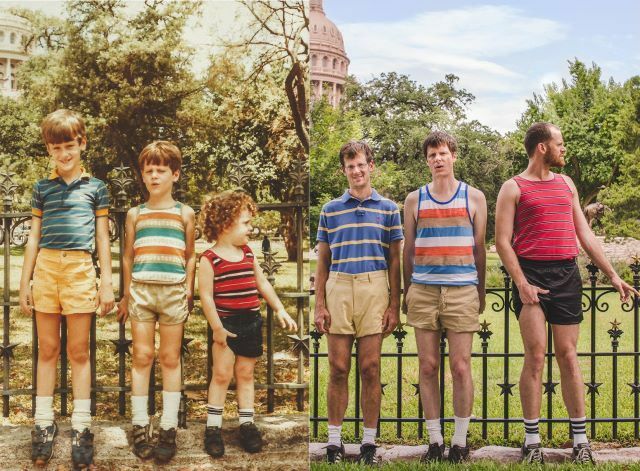 These recreated childhood photographs really show the passage of time. There was no cooler place to have your birthday party. 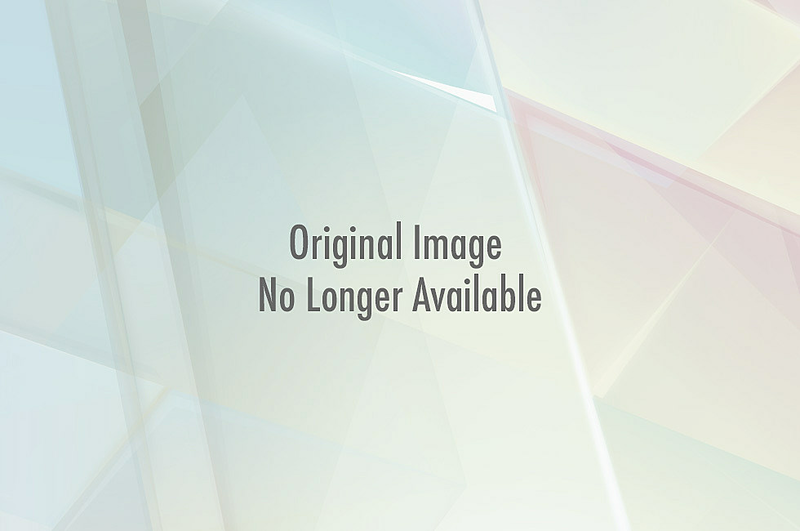 These meat hunks will make you blow chunks! I can't decide if Zack Morris is hotter now or then. After learning this 'A Goofy Movie' trivia, maybe we can all finally see "I 2 I." Just because you're older, doesn't mean you're in charge. Seriously, the tablets that kids have now compare to none of these. L + M = BFF 4 EVA! Own up to your embarrassing past. That way, no one can blackmail you. Childhood him: "I have no idea what I'm doing." Adult him: "I have no idea why I'm doing this." 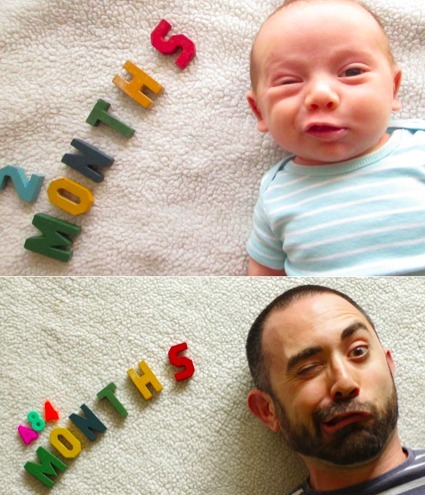 A father recreated his own son's baby photo. 484 months but he's already reading at a 500 month level! Proof that Mom was right...your face really can get stuck like that. "When I grow up, I want to be a drummer"
"You're 25. I want rent." He finally graduated from the 3rd grade, too! Who knew that Billy Madison was a biopic? *Morphin' can take up to 18 years, with some real awkwardness in the middle years. 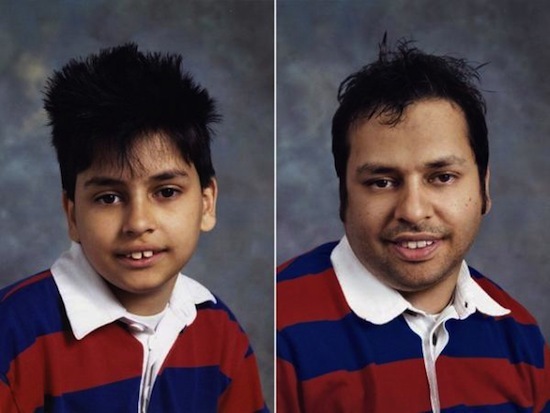 If it wasn't for the glasses and the goatee, we'd have no idea which photo was which. I am the vengeance. I am the night. I am...sitting by some really old grandma furniture. "Mom, I'm ready to be burped." The brother in the front finally grew into his shirt! But the brother in the back grew out of his shoes. Same grins, but new car and new facial hair. Well, except from the girl. Someone needs to step up her game. She looks the same! How is she able to do it? Probably because it's in her genes jeans. 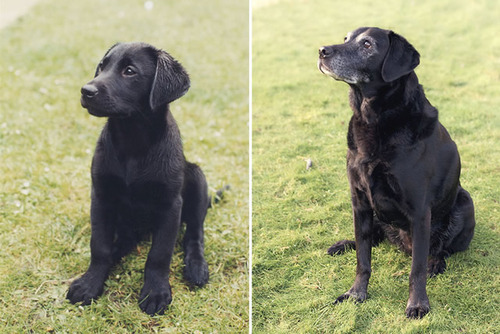 Thanks to Instagram, every photo can look like a recreated photo. Here, let me recreate my brunch for the 50th time. Wow, she's even wearing the same fur coat! The attention to detail in these pictures are astounding.